This is something new to the data recovery software/equipment industry, so I have a feeling that it needs to be explained. When a company has more than one data recovery engineer, several people may work on a single hard drive. 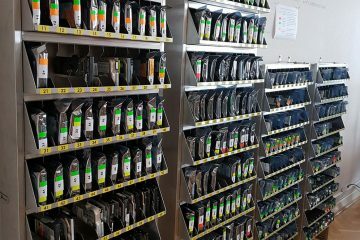 In this case keeping track on what has been already done to a hard drive as well as proper communication between engineers can become a real challenge. Obviously, there has to be a convenient way of keeping proper records for each hard drive. Also, since most recoveries take more than just a couple of hours, the process of making notes becomes even more important. Atola Insight solves the above mentioned issues once and for all. Everything you do in Atola Insight gets logged into the database. Diagnostic results, SMART data, firmware modifications, even spin-up power consumption graphs are saved. Every action taken by an engineer and its result goes into the database; custom notes are supported. Later on, when a data recovery engineer returns to that drive, Atola Insight automatically loads up the history and displays it on the main form of the application (dashboard). Database can be shared between numerous Atola Insight users; dedicated database server configuration is also supported. Case Management finally allows data recovery engineers to concentrate on data recoveries instead of making notes.